Lentz, Major Bernard. The Cadence System of Close Order Drill. From Reminiscences to The Memoirs Of Herbert Hoover, from	The Peace Negotiations to The Drama Of Three Hundred & Sixty-Five Days, we can help you find the world war i books you are looking for. As the world's largest independent marketplace for new, used and rare books, you always get the best in service and value when you buy from Biblio.com, and all of your purchases are backed by our return guarantee. Written in his own hand, and finished only weeks before his death, Reminiscences by General Douglas MacArthur spans more than half a century of modern history... Decade by decade, battlefield by battlefield, Reminiscences is a portrait of our most decorated military hero. It is the deeply moving final testament to a life of duty, honor, and service. Here is the long-awaited story of one of the most exciing American heros of this century. It begins with Captain Rickenbacker's earliest memories as a boy in Columbus, Ohio, and proceeds through a fantastic series of incidents and adventures up to the present time. 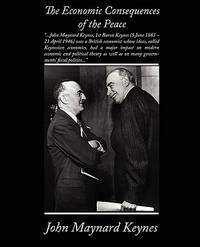 John Keegan was for many years senior lecturer in military history at the Royal Military Academy, Sandhurst, and has been a fellow at Princeton University and a professor of history at Vassar College. He is the author of thirteen previous books, including the acclaimed The Face of Battle and The Second World War . He lives in Wiltshire, England. Castles of Steel is a work of non-fiction by Pulitzer Prize-winner Robert K. Massie. It details the naval actions of the First World War with an emphasis on those of the United Kingdom and Imperial Germany. This book continues the examination of the naval arms race between these two powers in Massie's tome Dreadnought: Britain, Germany, and the coming of the Great War. The Face of Battle is a 1976 non-fiction book on military history by the English military historian John Keegan.